Cheers. I did that. After awhile, it proceeded to continue downloading. I think in the end, in spite of what I said about App Store updates, it just had to update everything. I don't use the Apple version of MS Office products so I never update those, but Pages and the other applications continued to be updated. You can delete pages and the other apple office apps. I don't have them on my phone either. Equal parts white vinegar and water sprayed on to a microfibre cloth can rid your mobile of grubby fingers and oily pomade. I didn't know that. My mobile looks as good as new - except it smells a bit like vinegar. You don't wash windows do you? Interior or exterior? Interior - I use windex. Exterior - blimey isn't that what hired help is for. I cannot recommend loading F.Lux to your phone highly enough. The experience at night is profoundly more enjoyable. How many updates does iTunes require? Honestly, every time I sync it with my PC at my parents' house, it's crying for an upgrade. It's just software that manages media yes? How many permutations or issues could there be with that? quite a number. they update it every month or two. I thought iPhone 6 was massive. It doesn't look that big. All these iPhones I keep seeing are 6 plus? I just got an iphone 6s from work to replace my Bold 9900. How unintegrated is my workplace? Besides iTunes, iPhone passcode, PIN to use Corporate E-mail software, my Corporate account/password, my Corporate E-mail password. That's 5 passwords to get e-mails. Is it really that hard? I can't use the fingerprint because the corporate software requires a passcode and not a fingerprint. There's no way to make an iPhone 6S blink (a la a coloured LED) if there are messages - is there? Even just basic text message? It only flashes rapidly for about half a second and then it stops. Can it slowly flash until I read the message? So this is Samsung's equivalent to iPhone 6s - here's the same mobile with a few things we didn't give you last year. a few improvements, but basically yeah. My work mobile was buggered up for a day. We use Citrix Worx for corporate mail. I open Worx Mail and it says it needs to launch Citrix Worx Home. The Home is an app that spawns little apps like the e-mail app. When I'm in Home, it says it will open Mail. Then Mail opens Home. Then Home opens Mail. I'm just bouncing between both of them. I delete everything and install it again and it's still flipping back and forth. I ring Help Desk. They can't figure it out. They send a technician over who tells me to do this. Open Worx Home. Intentionally enter a wrong Worx password. Use the wrong password screen's reset password link. Enter my PC network account password. Make a new Worx password. Open Worx Mail with my new Worx password. Enter my PC network account password to log in to e-mail and voila, I get e-mail again. Who the bloody hell designed this? Couldn't it just say "Your password needs to be reset"? What is this "Night Shift" thing in iOS? All it does is make everything look like I spilt black tea over it. The brightness is less intense but I'm still staring at it in the dark. Reading boring wikipedia articles is still the best way to fall asleep. My friend's Samsung Galaxy has been in the shop almost as much as it has been in her hands. Dropped calls, the voice not working - I thought with so many mobiles churned out they'd at least have some half decent quality. On the other hand for me, I've never had my mobile phone in the shop except when I cracked the screen of my previous one. It makes me nervous to go Android next. I've developed this unhealthy obsession with wiping down my mobile every morning with a microfibre cloth and at least once a week for my tablet. The oily finger smudges drive me a bit nuts. My company is cutting expenses and putting corporate mobiles on a cheaper plan. One thing I have to give up is sending pictures to folks in the States or abroad. To avoid this, should I simply disable MMS in Settings --> Messages? iMessage uses data - yes? Anybody watch the Apple trainwreck today? Apple announced the iPhone 7 today. 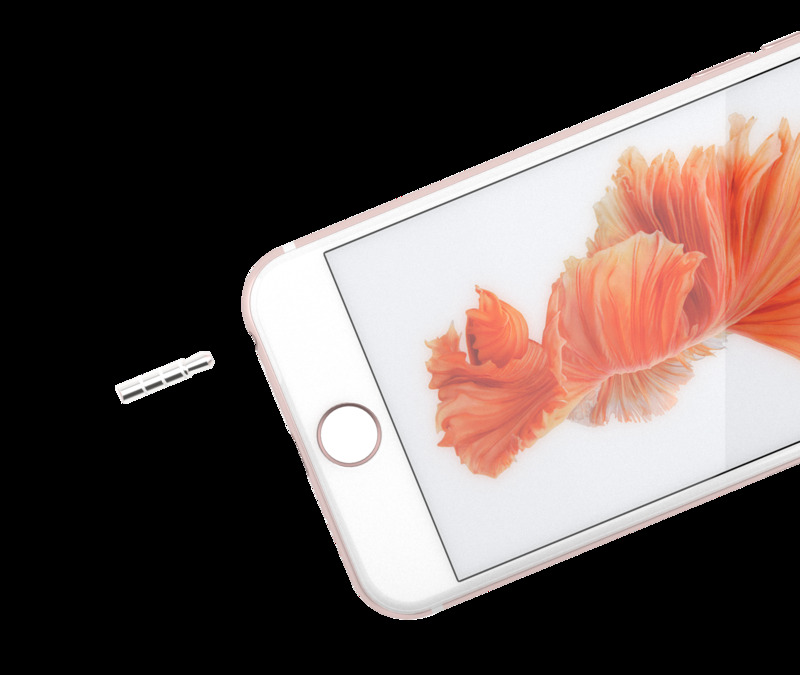 It comes with a couple notable hardware changes: both the iPhone 7 and the iPhone 7 Plus don’t have a headphone jack, and the Plus comes with dual cameras. Wowee. Big hardware changes! Wait, what is that? Is that a scratch I’m seeing? Could it be? Also what’s this footnote on the iPhone 7’s dedicated page about the jet black phone? Can you read that? 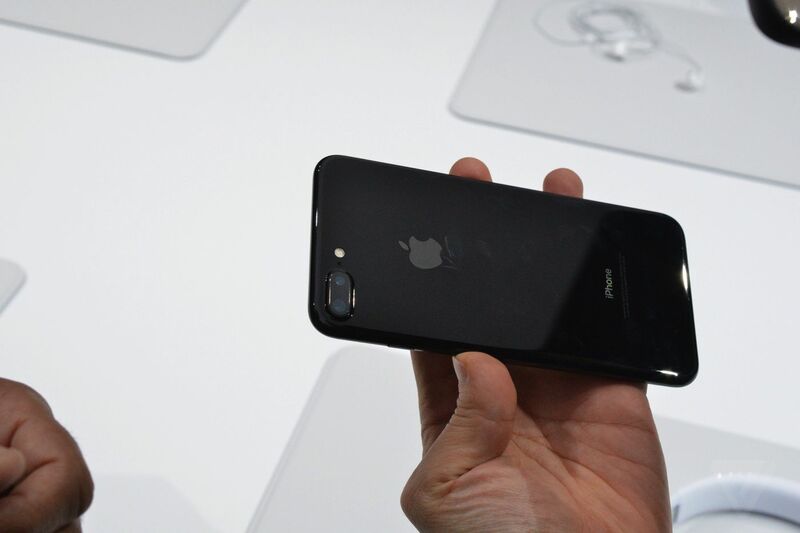 Let me sum up: the jet black version of the iPhone 7, the one we the people wanted, scratches. So if you don’t like a scratched iPhone, you’re going to need to invest in a case. People probably won’t be able to see your jet black iPhone 7 through that case. Do you love your phone’s color enough to let it be scratched? Anything else besides the colour, dual cameras that I don't understand, and another ploy for me to replace all of my accessories? I don't see my company upgrading from iPhone 6S for that. supposedly the 10th anniversary will have some interesting features. supposedly. They're too busy dodging taxes to make good products any longer. Probably the only one better at hyping and selling utterly useless non-innovation is the German car industry. The Machine you can post this on StyFo for all your friends to enjoy. Did it ever work with gloves? I'm not sure the glass worked with some manicured finger tips either.